1. Use Cash. You have probably heard/read that “cash is king” many times, but when it comes to saving money on the expensive holiday season, the worst thing to do is pay for it on credit. The fees and interest of credit will only add to the expense, and you are much more likely to spend more than you can afford when using credit. You need to budget and save for this cost year round so that you are prepared and don’t find yourself “in the hole” in January. Debit cards are certainly better than credit cards and more convenient than cash, but beware that even though you can’t spend more than you have (unless you have overdraft) you will likely spend more than you should. 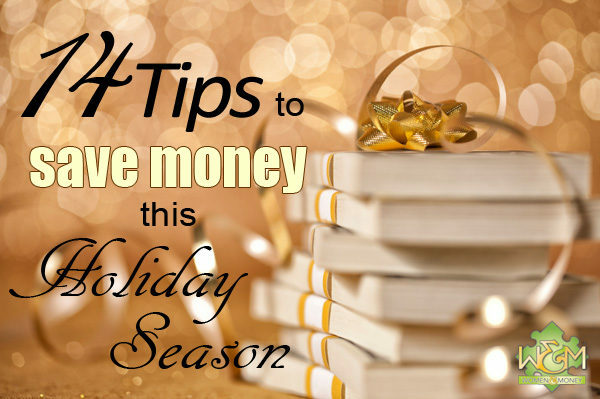 Keep the cards at home and bring cash in your wallet when you go shopping. You can’t spend more than you’ve got, and you’ll probably feel the expense of what you’re buying more tangibly when you hand over those $20 bills from your bank account. Paying with cash will likely save you a lot of money this holiday season.